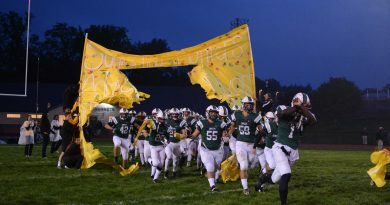 For the first time in Emmaus athletic history, the varsity football team will compete in the District 11 finals on Friday at Northampton High School against their one loss from the regular season: Freedom High School. The last time the Hornets came in contact with the Patriots, they lost after multiple turnovers gave the Patriots an edge on Oct. 12 at the Emmaus High School football stadium. Late in the fourth quarter the Patriots pulled ahead after the Hornets held a 24-9 lead, scoring two touchdowns and a two point conversion to put the game into overtime. At first, the Hornets gained ground by scoring first in OT, but then the Patriots earned a touchdown and a two-point conversion, sealing their win with a score of 32-31. Both teams ended their seasons with a record of 7-1 making them District 11 Co-Champions. 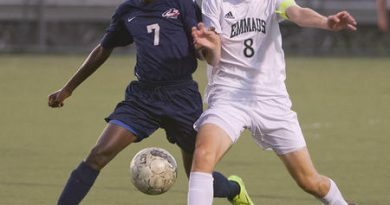 Now Emmaus has the opportunity for a rematch tomorrow with Freedom in the finals after they overcame No. 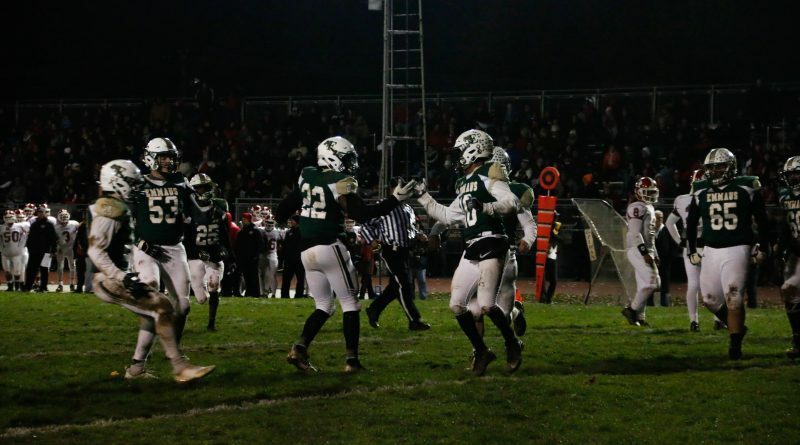 3 seed Easton Area High School with a win of 31-24 last Friday, Nov. 9th. The game, however, proved to be a tough match until the fourth quarter. In the first half, the teams locked themselves in ties at 17 points and then again at 24 points in the second half. Some key plays included senior Izaiah McPherson’s interception early in the game that kept the Rovers at bay and a touchdown by quarterback senior Ethan Parvel at the end of the game which pushed the Hornets ahead toward the win. Freedom, on the other hand, beat Parkland High School 35-21 to advance to the finals. 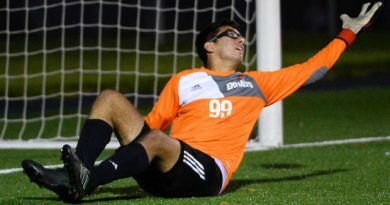 With a chance for redemption, the players, including senior Jared Kish, who is a part of both the offensive and defensive lines, feel like they improved certain skills that could lead to an Emmaus victory tomorrow. The two teams will clash tomorrow starting at the 7:05 p.m. kickoff to find out which team will bring home their school’s first D-11 title.